John Wayne Airport is the nearest airport to the Disneyland Resort. The distance is approximately 15 miles. Explore the convenient travel options—including buses, shuttles, limousines and taxis—available to take you to the Resort. Among available Car services John Wayne Airport (SNA) to Disneyland Anaheim Town Car services operated by Jag Transportation provides the most convenient mode of transportation between John Wayne Airport and the Disneyland Resort area, including Anaheim Resort hotels and Disneyland Resort. After exiting baggage claim, proceed to the Ground Transportation Center (GTC). All ground transportation pick-up locations are situated in the Ground Transportation Center (GTC) within easy walking distance from the baggage claim zone. The GTC is situated on the Arrival (Lower) Level in the center of the East Parking building. GTC can be reached through the Thomas F. Riley Terminal by crossing the airport roadway at the traffic signal near the John Wayne Statue. Named after the legendary actor, John Wayne Airport is the second busiest airport in the area. John Wayne Airport is located in Orange County. Since it is an international airport, it has a large volume of traffic going in and out. John Wayne Airport can be difficult to navigate and park at, but our chauffeurs always take care of your tour needs relentlessly. Our business is based on referrals and customers that come back to us on a continuous basis, so we give you an accurate charge with no hidden fees that include taxes. That is because we serve our community and work and live here. 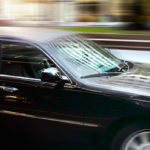 We understand that our clients are our bread and butter and we always make sure that every single person travelling in our cars is fully satisfied. Anaheim Town Car services operated by Jag Transportation provides Car services John Wayne Airport (SNA) to Disneyland transportation all over Los Angeles and southern California. 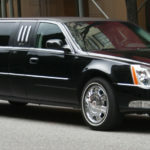 A car or limo service is a convenient and fast way to ensure that you’re getting to your flight just in time. If you’re looking for professional, comfortable, and friendly chauffeured service to John Wayne (SNA) Airport in Orange County, California, then you can consider our service. 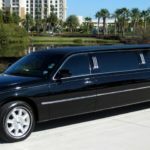 Jag Transportation provides large, latest model fleet features the topmost quality using its own fleet of Lincoln Town Car Sedans, Private SUV- Chevrolet Suburban, Private VAN- Ford Transit 350, and the Stretch Limousine for group transportation. 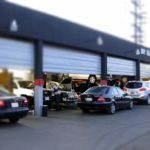 Our Service is equipped to surround the customer with the latest technological amenities one expects from a car service. Among available Car services John Wayne Airport (SNA) to Disneyland Anaheim Town Car services operated by Jag Transportation is no exception -simply outstanding, there is no better way to get to and from SNA airport than with our unparallel service. If you are flying into SNA, Reserve your car service and avoid the long Taxi queues, discontented drivers or asking family members to put up with LA traffic, cost and inconvenience. A chauffeur will meet you at designated point and help you with your luggage and get you on your way. If you are flying out of LAX, Make sure to give yourself enough time to get to the airport. Reserving a car service gives you the peace of mind that our chauffeur will be there waiting for you well before your scheduled trip to the airport. John Wayne Airport is the only commercial airport in Orange County. Current airlines flying into SNA include United Airlines, Southwest Airlines, Alaska Airlines, and American Airlines. We are ready to pick you up and take you anywhere in Orange County. We also provide airport car services to LAX, Long Beach Airport, Bob Hope – Burbank Airport and Ontario Intentional Airport. You can book an airport-to-airport transfer from SNA to LAX just now. SNA is the best airport to fly into for Disneyland leisure trips. If you’re planning a Disneyland leisure trip, call Anaheim Town Car services operated by Jag Transportation to ensure a safe trip for the entire group or family. We offer to families with children in Orange County with child safety seats in our vehicles to protect our little passengers as safety is the topmost priority to us. Jag Transportation provides airport transportation all over Orange County including Anaheim, Brea, Fullerton, Irvine, Lake Forest, Santa Ana, San Clemente, and Newport Beach including Car services John Wayne Airport (SNA) to Disneyland Anaheim Town Car services. Book your next Orange County airport transportation with us using our fast, convenient, and secure online reservation system. Anaheim Town Car Services operated by Jag Transportation offers an on-time commitment and price guarantee that is unmatched in the industry. We’ll pick you up from your home, office, hotel, or where-ever. Call us or book online today and find out why so many are making the switch to Jag Transportation! Our drivers are professional, courteous, and experienced. Jag Transportation offers the most cost effective and reliable way to get to and from the airport, or where ever your destination may be.